Lausanne, Switzerland isn’t just a destination for nuclear talks. This week the alpine city hosted delegations from Kazakhstan and China, which presented their candidate city briefings to members of the International Olympic Committee in hopes of securing the 2022 Winter Olympics. 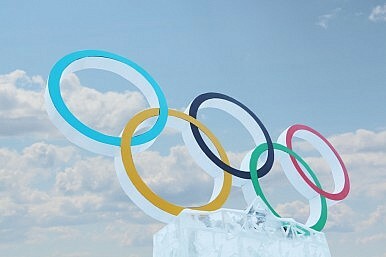 The two cities remaining — Almaty and Beijing — will have one more chance to impress the International Olympic Committee when it votes at the 128th IOC Session, to be held from July 31 to August 3 in Kuala Lumpur, Malaysia. Last week the IOC released a report from the Evaluation Commission for the 2022 games. The report is the first after the unanimous approval of the 2020 Olympic Agenda, which included a number of landmark reforms. Other reforms mandated by the 2020 IOC agenda, and even some that occurred before the full agenda was voted on in December 2014, may not see such immediately tangible results. For example, an October 2014 decision by the IOC required host countries to sign a contract agreeing to protect human and labor rights, as well as the environment. While the recently released IOC report touches on these subjects, it relies heavily on government assurances. Still, the IOC seems content with assurances from China and Kazakhstan that the internet will be unrestricted, protesters permitted, laborers compensated adequately, and people not unduly displaced. On an environmental front, the 2022 Games may not fit into the 2020 agenda’s vision to include sustainability in all aspects of the Games. The report does note that two of the three locations near Beijing pegged to host sporting events — the Yanqing Zone and the Zhangjiakou Zone — “have minimal annual snowfall and for the Games would rely completely on artificial snow.” Images in the report, taken in January 2015, feature snowless mountains with lines labeling ski courses and comments that “Northern China suffers from severe water stress and the Beijing – Zhangjiakou area is becoming increasingly arid.” The report notes that the “reliance on artificial snowmaking would require diversion of water from existing reservoirs” which may negatively impact the surrounding ecosystem. Because nobody else wants them.